Dallas Cowboys owner Jerry Jones took his entire team to the National Museum of African American History and Culture, Oct. 21, while they were in town for their matchup with the Washington Redskins. Jones’ visit to the Black history museum caused some to speculate whether or not it was all just a public relations stunt, as a means to make himself more endearing to the African-American community. “PR gesture. Nothing more. 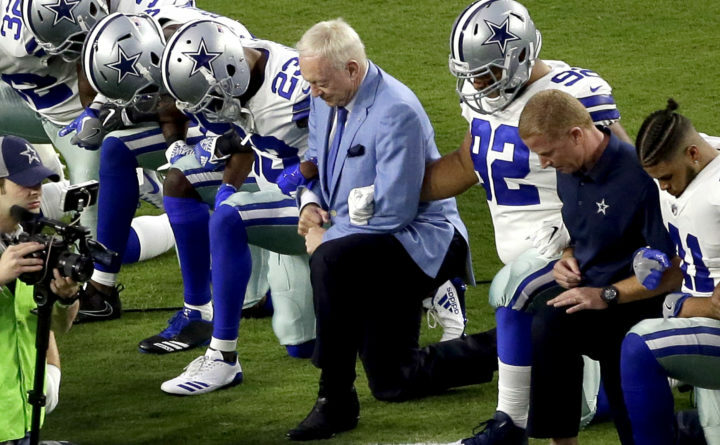 Jerry knows how the media will run with this,” tweeted an NFL fan. TMZ stopped him outside the national mall to ask him straight up if his presence there was just for good publicity; the 76-year-old billionaire said no and that it was the players on the team that volleyed for the visit. According to the Star-Telegram, Daniel Thomas, the museum’s sports curator, said there was “a range of emotions” he noticed from the Cowboys players during their tour. “There was anger, moments of joy and moments of contemplation,” Thomas told the Star-Telegram. Thomas also told them that one of the most impactful moments during the museum tour occurred as they passed by the cotton gin exhibit. Jones, reportedly, shared with his team a testimony of when he worked as a cotton picker earlier in his life.